Tony joined LSI in 2008 after specialising in Eco-friendly housing design – aimed at COSH level 4 – including a 22 unit scheme undertaken in partnership with Conran & Associates. He pursues his interest in this sector through work on his own houses, and occasional house remodelling for LSI clients. 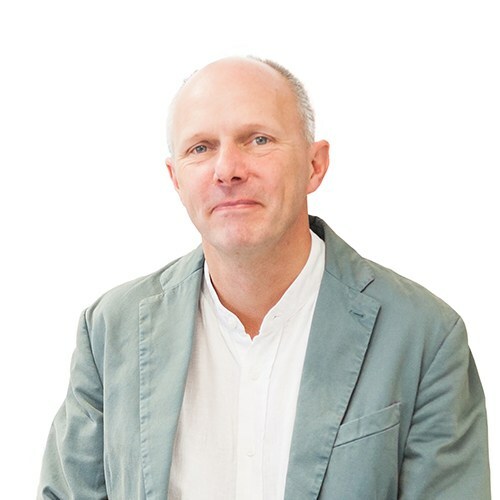 Prior to relocating from London in 2007, Tony had completed a decade with Sheppard Robson Architects rising to the position of senior architect, involved in high value projects in the Higher Education and Workplace sectors. He worked on the Pfizer HQ in Surrey, and the Motorola’s HQ in Swindon which received a special mention in the RIBA Awards of 1999 for its prefabricated service elements. He was also project Architect for the £35M Suffolk College and a 140-bed Hall of Residence for Digby Stuart College. Focusing on services and structure coordination was an excellent preparation for the key project role he has played on the completed £20M Holly House – during which the contractor went into administration – and £6.8M Highgate Hospital projects for Aspen Healthcare with LSI. A dedicated healing environment for the newly bereaved at Southend Hospital, replacing an outdated and inadequate provision for bereavement care at the hospital.